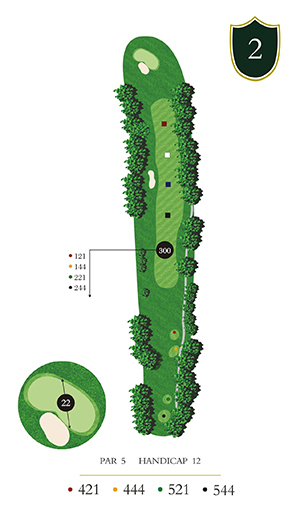 This 544 yard Par 5 plays slightly downhill. 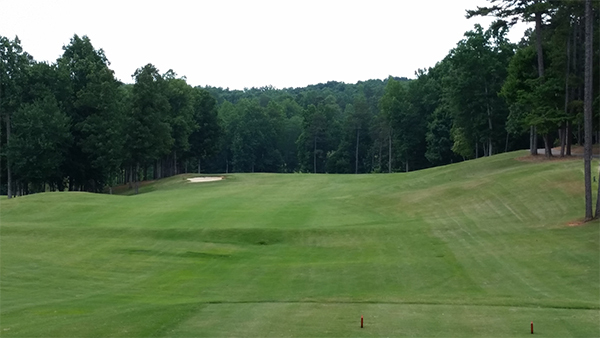 Your second shot will be blind, so be aware of the bunker protecting the front center of this large green. Take care to keep your tee shot and second shot from going too far right as this will put you out of bounds.